The Magic Flute Exhibit at New York Public Library—Featuring BLO! 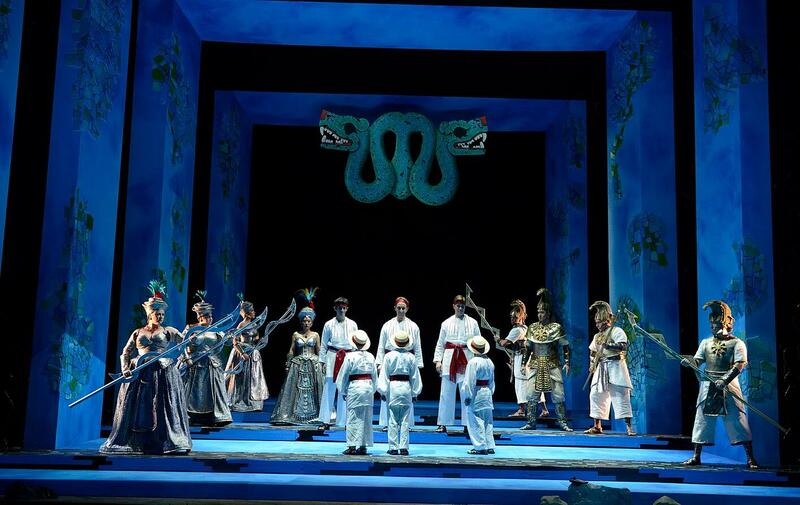 Today, Thursday, March 31, the New York Public Library for the Performing Arts is opening an exhibit titled Magical Designs for Mozart’s Magic Flute, an exploration of outstanding artistic scenic and costume designs from 19th, 20th, and 21st century productions. Curated by the acclaimed theatrical designer Judy Levin and organized by the Kent State University Museum in partnership with the Library, it includes designs, set models, properties, and costumes—and best of all, the exhibit features designers John Conklin and Nancy Leary's work for Boston Lyric Opera! It is a pleasure and a privilege that the BLO production (represented by the set model, Nancy Leary's costumes sketches and many photos) is included in this exhibit at the Lincoln Center Library in NYC. The exhibit is quite a vivid and ambitious display of many different versions of Flute, including designs by David Hockney, Maurice Sendak, Achim Freyer, and Julie Taymor. Most immediately striking are a number of actual costumes...the gallery seems alive with fantastic creatures in excited conversation. Learn more here, or if you are in New York City, visit the exhibit in person through August 27! Photography: Eric Antoniou for Boston Lyric Opera.